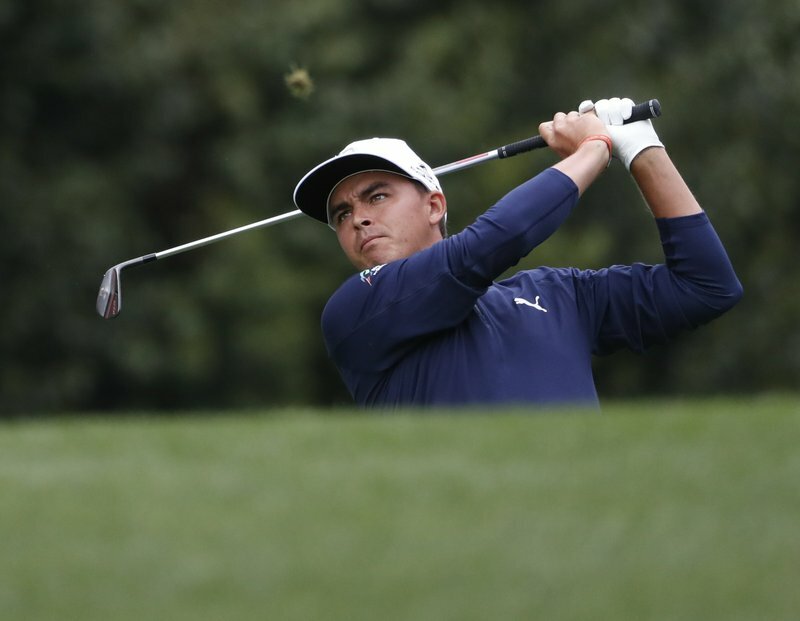 He’s been trying his best to stay in the moment, something that hasn’t always come easy for Rickie Fowler. His friends have won major championships, and he’s celebrated with them, genuinely happy for their success. The sight of Fowler waiting by the 18th green to trade high-fives and hugs with players like Bubba Watson and Sergio Garcia is a familiar one to golf fans. [post_ads]But when he starts thinking about winning one himself, things often quickly go south. That didn’t happen on Saturday, when Fowler didn’t make a bogey on his way to a 7-under 65 that put him in third place in the Masters. Though he’s five shots behind Patrick Reed, only Rory McIlroy stands between him and the leader. Close enough to start to think just a little bit ahead, if only for a moment. The player everyone in golf seems to love is also the player many have trouble figuring out. Fowler drives the ball long and straight, and his touch with a putter can be magical. Oh, and he dresses well, too. But while Fowler has posted a few wins and put up numbers in his eight years as a touring pro he hasn’t been able to pull off a win in a major even though he’s had his chances. For that to change on Sunday, his mind can’t wander. Not at Augusta National, where every shot involves some sort of peril. Not in this Masters, where Reed has shown no signs of folding and McIlroy is playing with the confidence of a guy trying to become just the sixth player to win the career Grand Slam. “It’s just a matter of him focusing a little better and getting his mind more set on what he wants to do instead of racing ahead and thinking of winning the tournament,” his swing coach, Butch Harmon, said. Fowler will tee off a group behind the leaders Sunday afternoon, a position he’s more than familiar with. It was in that group last year that he faded on the back nine for a disappointing final round 76, yet still hung around to congratulate Garcia on his breakthrough win. It’s not that he doesn’t know how to go low in a final round — he shot 61 in December to come from behind and win Tiger Woods’s tournament — but that he hasn’t been able to do it at the majors when it counts most. Fowler came to the Masters with high hopes, despite fading with a pair of 73s on the weekend to fall from contention at the Houston Open. On the range Tuesday, he worked with Harmon fine tuning a few things but was happy with both his ball striking and his putting. Both were pure Saturday on a day when Fowler desperately needed a low score to even think about winning the green jacket. “If I didn’t put together a good round of golf, then we weren’t going to have a shot,” he said. The round was helped by a par from out of the trees on the tough 11th, and another par after putting a ball into the creek on No. 13. He was first in the field with five strokes gained putting, and relishes the chance to use the flat stick to come from behind in the final round. Confident or not, it’s still a tall order. But, as Fowler reminded reporters afterward, he believes the old axiom that the Masters doesn’t really begin until the back nine on Sunday. By then, he hopes to have cut into the lead. And then, history tells us, anything can happen. The plan is solid, and the putter is hot. For Fowler, though, it still all revolves around staying in the moment. Hard not to dream about what might be. And hard not to root for a nice guy to finish first.